Now, fast forward to November 2016. We are in the middle of celebrating National Distance Learning Week – a week that promotes and celebrates the incredible growth and success of distance learning. 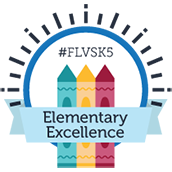 During this week, we applaud the accomplishments achieved by Kindergarten-12, higher education, and corporate online learning leaders. Thanks to computers, educators have been able to expand their teaching methods and their educational successes. Imagine the teachers of the early 1980s. They certainly did not ever think that this is what the world of learning would look like now. Could they have even fathomed the extreme importance of computers some 30 years later? The great thing about computers and the internet is that it is always expanding. Distance Learning is a never-ending road to increased knowledge and success. Teachers are able to reach out and teach students without ever stepping foot out the door. Thanks to distance learning, teachers can meet the students where they are, and give them help and guidance in a very efficient way. 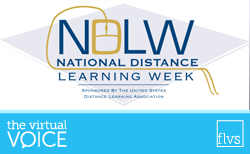 If you are interested in learning more about National Distance Learning Week or want to sign up for multiple free and educational webinars, check out these options! 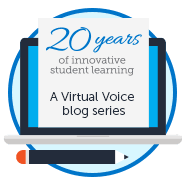 This entry was posted in Educator Edition, Parent Edition and tagged 21st Century Education, Computer, National Distance Learning Week, NDLW, Online Learning, Technology on November 9, 2016 by Guest Blogger.